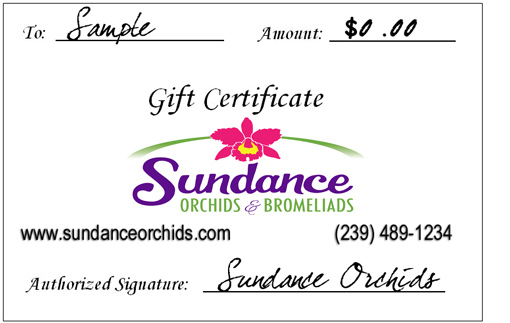 At Sundance Orchids & Bromeliads we work to ensure you can recieve your favorite products shipped right to your door! For your convenience we have listed below all of our rates for shipping straight to you! (Continental US only. Excluding: Alaska, Arizona, California and Hawaii). NOTE: Orders totaling more than $185 may incur additional shipping charges. We will contact you after your order is submitted to review available options for shipping your order as efficiently as possible.